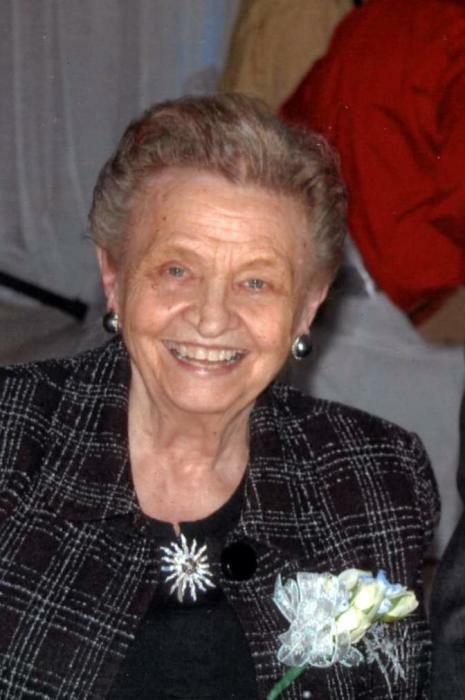 Bernice M. Drerup, 87, of Delphos, passed away on Sunday, March 24, 2019, at Vancrest Healthcare Center of Delphos. She was born September 13, 1931, in Putnam County, Ohio to Albert and Leona (Schmersal) Maag. She was united in marriage to Leo Drerup on April 19, 1952; he preceded her in death on April 4, 2012. She is survived by five sons, Dave (Martha) Drerup of Delphos, Tony (Mary) Drerup of Delphos, Jeff (Susie) Drerup of Powell, Nick Drerup of Delphos, and Fred (Janice) Drerup of Ottoville; three daughters, Janet (Dan) Bonifas of Landeck, Molly (Dave) Buettner of Delphos, and Ann (Don) Like of New Bavaria; sister, Georgie (Art) Westrick of New Bavaria; sisters-in-laws, Joanne Kuhlman, Angie Maag, and Ellen Maag; 21 grandchildren; and 17 great-grandchildren. She was preceded in death by a daughter, Ellen Drerup; three brothers, Clayton, Michael and William Maag; and two sisters, Jeanette Dangler and Carolyn Parys. Bernice was a member of St. John the Evangelist Catholic Church and a graduate of Glandorf high school. She was co-owner of LN Drerup Upholstery for over 30 years; she was a Girl Scout troop leader and an active member of the senior citizens center in Lima. She enjoyed swimming, walking, painting, and loved sewing. Bernice also loved to travel, polka dance, going to Jims for dinner, but most of all she loved spending time with her family and friends. Funeral mass will be on Friday, March 29, 2019, at 11:00 a.m. at St. John the Evangelist Catholic church. Father Douglas Taylor will officiate. Burial will follow in St. John’s Cemetery. Friends may call on Thursday, March 28, 2019, from 4-8 p.m. at Harter and Schier Funeral home. There will be a parish wake to begin at 7:30 p.m. Memorial contributions may be made to St. John’s School or the Right to Life.